Mr Ezekiel Shammah, Manager, Jos Branch of the United Bank for Africa (UBA), has advised entrepreneurs in the north to show more interest in business start-up grants offered by the Tony Elumelu Foundation (TEF). “Applications for business seed money and other services offered by TEF are abysmally low from the north, when compared with the entries from other parts of the country. 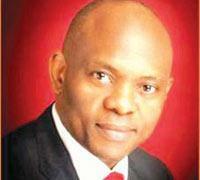 Northern entrepreneurs should explore the opportunities offered by TEF,” he said on Monday. Shammah, a representative of TEF in Plateau, who spoke at a press press briefing in Jos, particularly urged young entrepreneurs in the north to show more interest in the foundation’s grants. He said that the foundation was offering 5,000 dollars each, to innovative youths, and challenged them to apply for the fund to step up their businesses. “The foundation also provides business development programmes, training, mentoring and funding for successful entrepreneurs picked. “It also tries to build and grow the economy of various counties in Africa and beyond,” he said. According to him, “the Tony Elumelu Foundation believes that the private sector holds the key to unlocking Africa’s economic potential and is committed to empowering entrepreneurs through capacity development, seed capital, mentoring and networking”. He said that the foundation had so far empowered 3,000 young entrepreneurs in Africa, and advised this year’s applicants to submit their applications before March 1. The Tony Elumelu’s Foundation was established in 2010 to support the growth of Small and Medium Enterprises into larger outfits that would create more jobs and boost s.
Elumelu is the founder of UBA, a leading Nigerian bank. The post Tony Elumelu Foundation wants more applications from entrepreneurs in the north appeared first on Vanguard News.